Here’s a great game for practicing complete sentences! 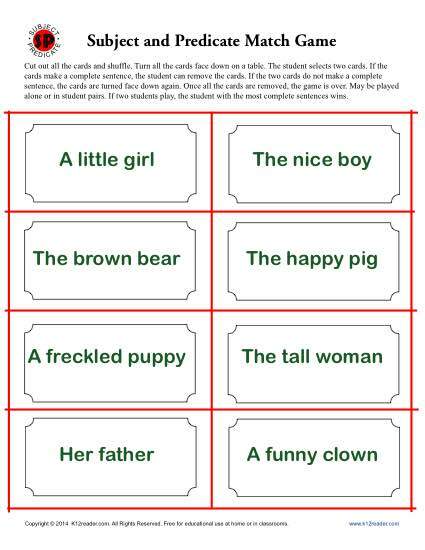 Your student will match subject and predicate cards to make a complete thought. It’s an entertaining way to learn this fundamental skill. It’s ideal for practicing Common Core Standards for Language for kindergarten, 1st or 2nd grades, but other students may also find it helpful. Activity Help: What is a Predicate?